Medicine: Medical studies at the Medical University Pleven are based on the principle of “Problem-based Learning”. This way, they can experience real medical situations and patients early on. They face a problem and learn through the solving process. The courses are organized in a block system. This approach guarantees a high success rate of studies. The individual exams are not taken at the same time in blocks, they are distributed throughout the year, which is better, because you do not have to learn all at once. The degree has a duration of 6 years. The beginning is around mid-February each year. 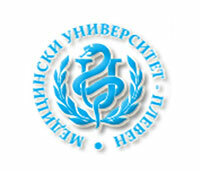 The Medical University Pleven is located in the city of Pleven. Pleven is in the north of Bulgaria and its 110,000 inhabitants make it the 7th biggest city of the country. The city is 105 miles from the capital Sofia. There are good public transportation connections between the two cities. The international railway Sofia – Bucharest – Moscow goes through Pleven. In general, the city has a well-developed transportation system. As there is no admission exam at the Medical University Pleven, every application is assessed by a committee. It is therefore very important to comply with the instructions of MSE as exactly as possible. With our experience we will help your application to have better chances of being successful. Please remember that an early application has better chances than a later one. Our admission rate is almost 100%!